The concept is to encourage as many mappers as possible to create short, self-contained segments that are joined together with what we call the Transition Room. 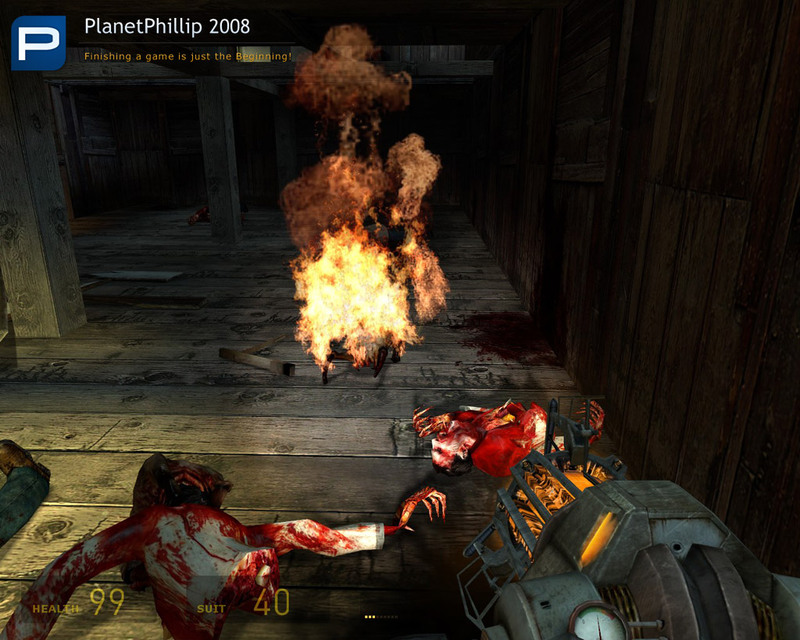 The release comes with four playable segments, providing about 20 minutes worth of gameplay time. Please Note: The Source SDK Base – Orange Box MUST also be installed for this mod to work. It is free and can be found in the Tools tab of Steam. Copy the holoreality folder into your SourceMods folder. holoreality should now be listed in your Library tab. There WERE a number of objectives. 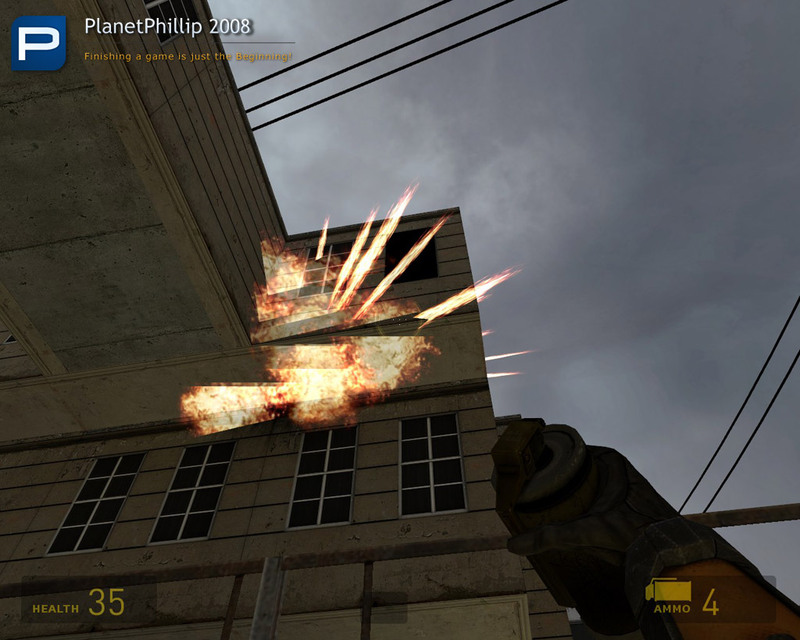 Firstly, to create the largest single player Half-Life 2 mod EVER! In fact there is no reason why the mod can’t just keep growing and growing. Eventually we would like to see over 1000 segments, that is around 200 levels. Secondly, to allow new mappers a chance to create and release work that becomes part of something greater. 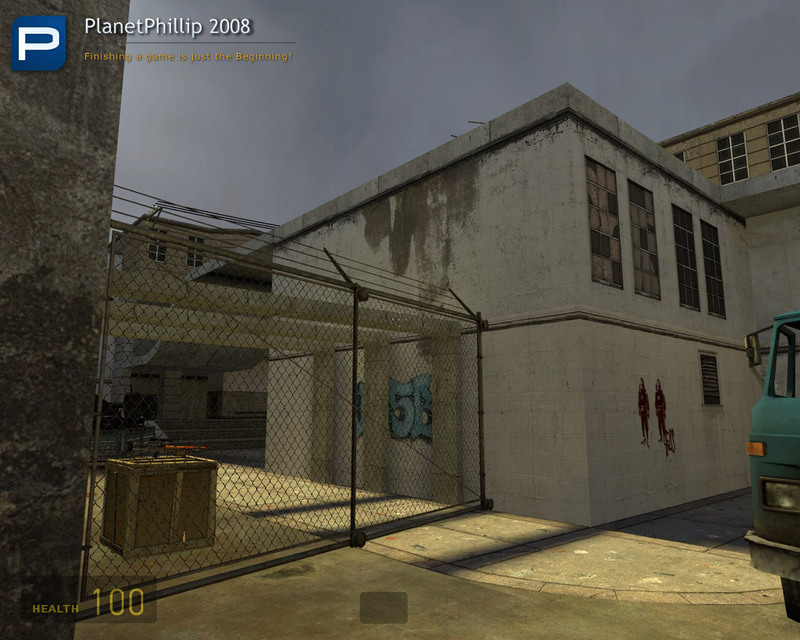 Thirdly, to allow mappers an opportunity to convert other gametype maps into SP maps. 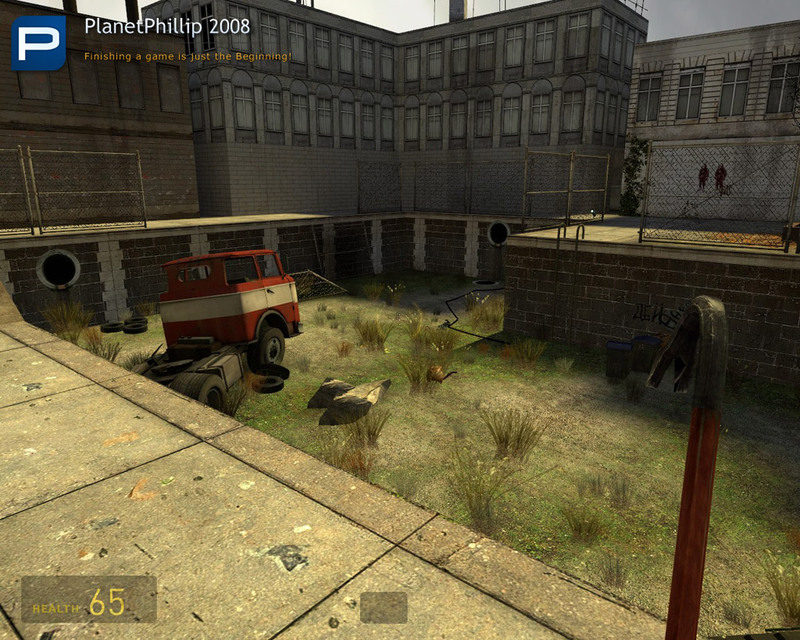 For example, a mapper may have a really good Deathmatch map that could easily be converted into a segment. On its own it would be too short to release as a single player map but as part of HoloReality it could be perfect. 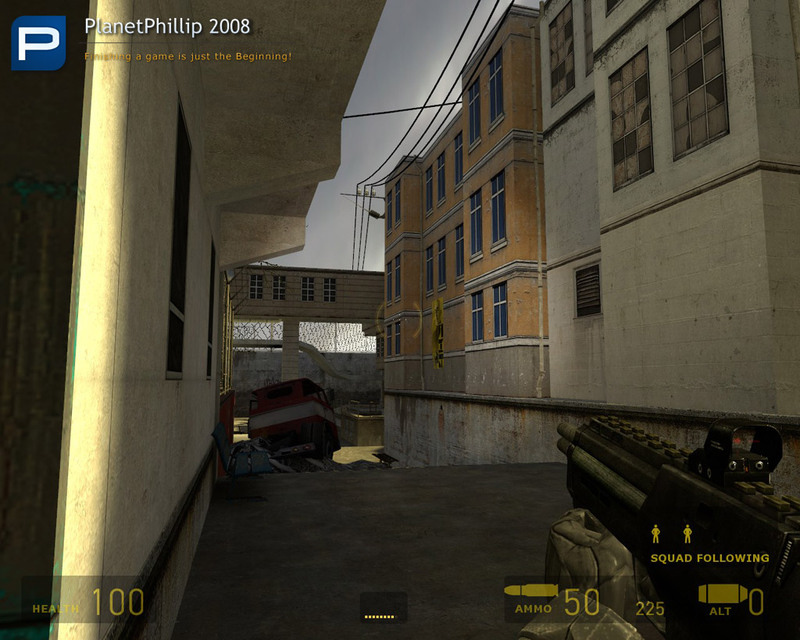 (In fact the third level made by Kasperg is exactly that – A DM level that has been converted. Lastly, there are probably some really good levels or parts of levels that are sitting on hard drives almost forgotten. Maybe it was because they were too small to be released on their own, they were proof of concept or were simply unfinished. Well, with HoloReality, they could have been released and enjoyed by others. This mod started from a chat session about learning to map and ways of improving. The idea is to allow maps that are not normally released to be part of something bigger and that keeps growing. 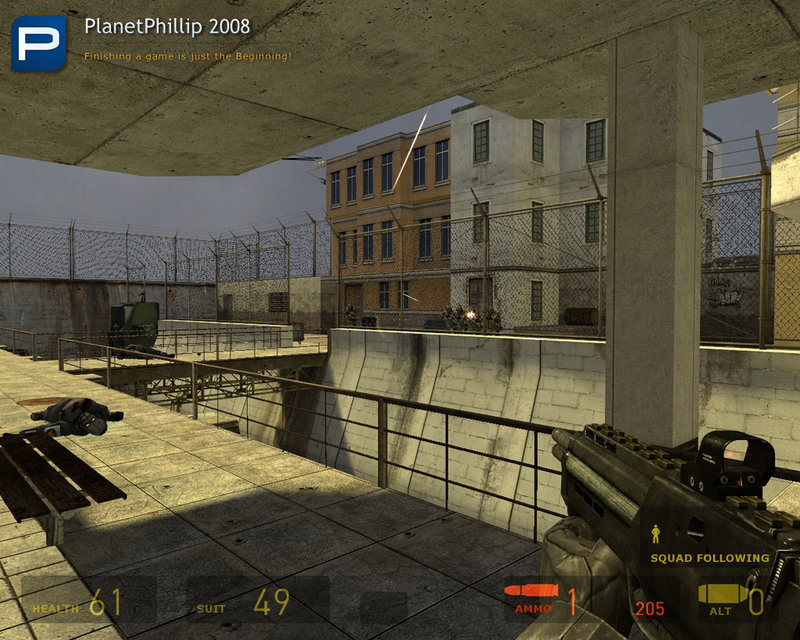 It was original conceived for Half-Life 2 / Orange Box but could easily be extended to other single player games. Out of courtesy please contact us if you plan to do this. 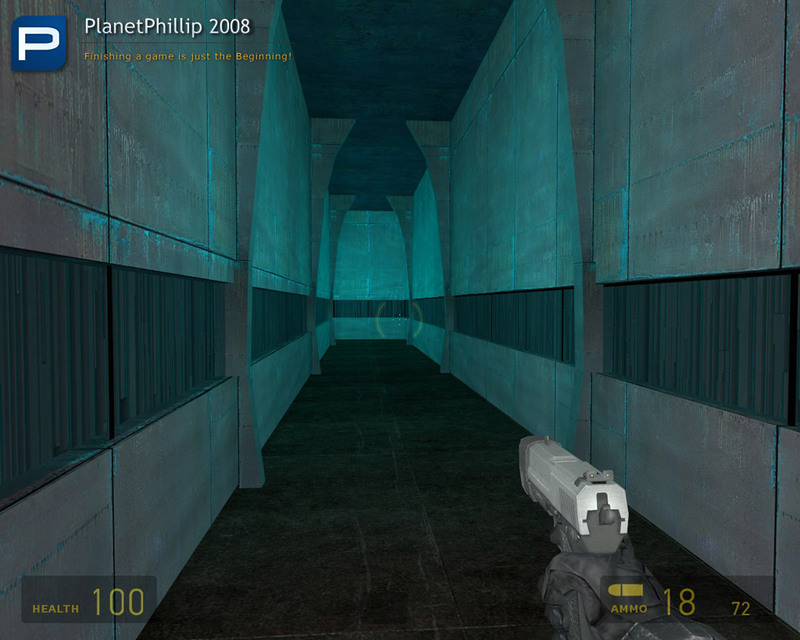 In retrospect it is clear that HoloReality was influenced by a Half-Life mod called Project Quantum Leap and Portal, although at the time of concept it didn’t seem that way. This type of mod does not really require a story, but we created one to give the mod some sort of meaning. It may also influence the types of segments created. “The Combine continue to research human responses and reactions to various stimuli. They have created a system where humans believe they are in dangerous situations. 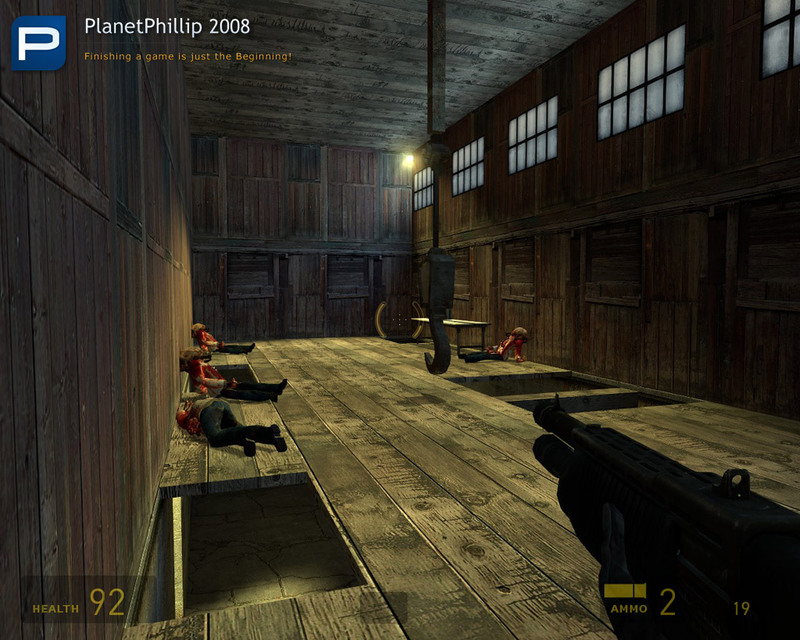 The humans play out these situations by trying to reach the next Transition Room, using weapons and physics to survive. This research will help train the Combine soldiers to fight more effectively against the rebels. The player starts in The Transition Room. 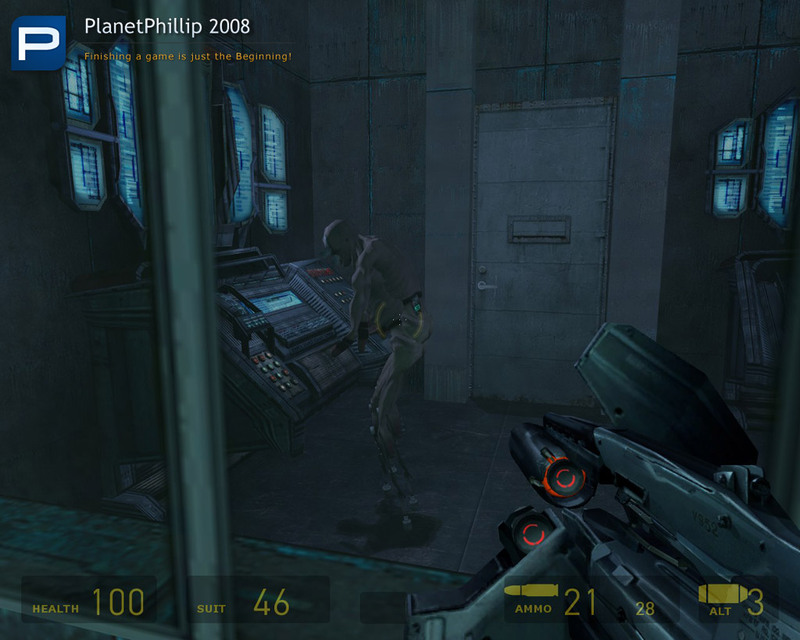 Whilst they are in the Transition Room the Combine HoloReality system creates a new scenario for the player to interact with. Think of it like the HoloDeck in Star Trek. Nothing is real, it is all created from energy. The room allows smooth transitions between widely different styled segments. 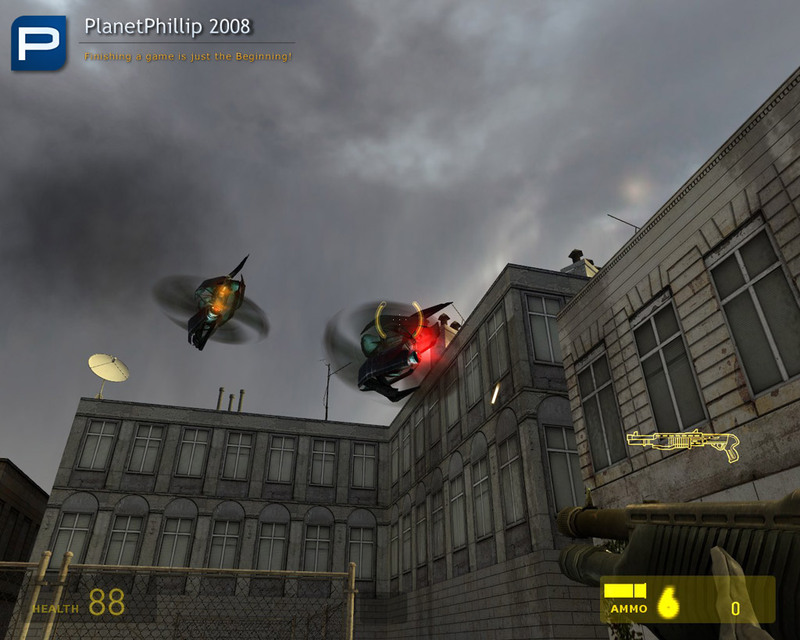 By removing all the player’s weapons and ammunition collected from the previous segment and giving them 100 health points it also allows the mapper total control over the player’s starting circumstances. 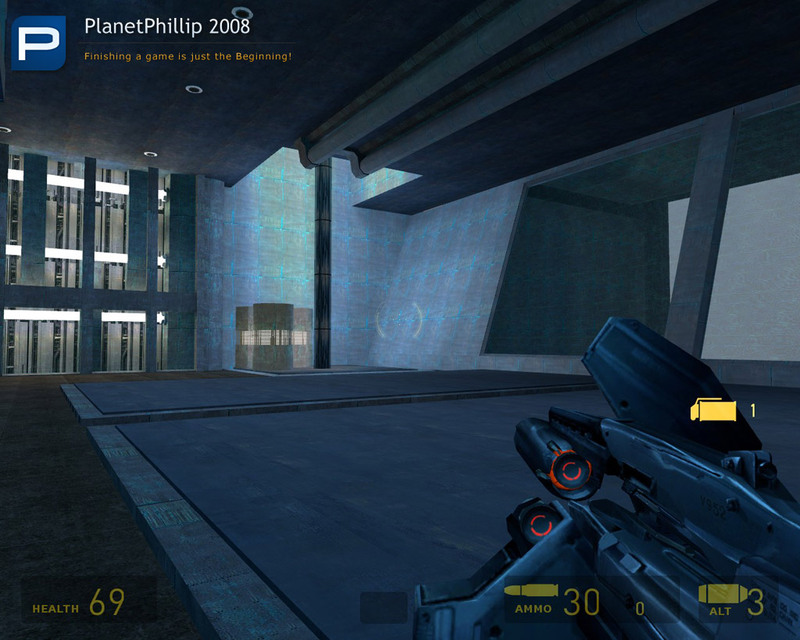 The mapper must ensure any weapons they want the player to have or a charger for the suit are located within their segment. 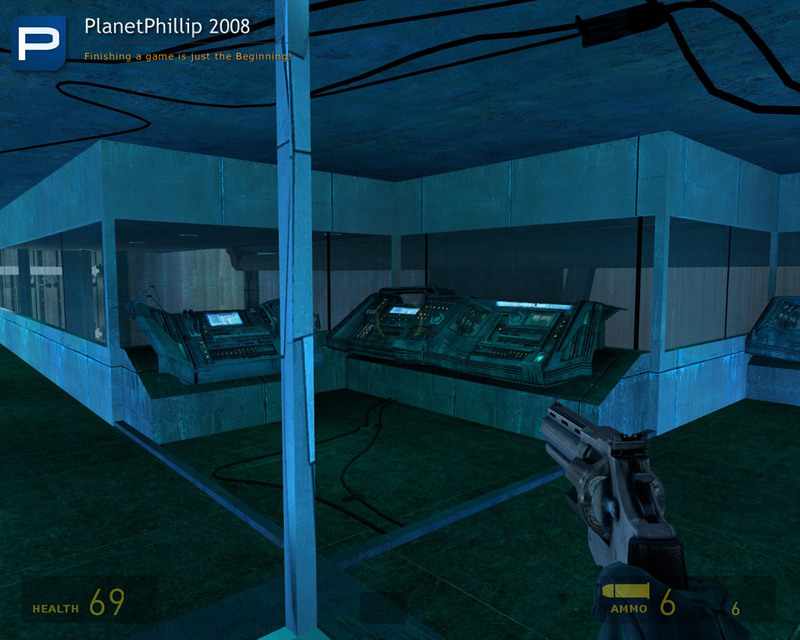 Once the player leaves the Transition Room they may not return, except at the other end of the segment. The door closes behind them and they must move forward. A Segment is a completely independent playable section. The mapper has complete control over the theme, content (New content must be supplied and packaged correctly) and size of each segment. They do not need to worry about matching it with the previous or next segment because The Transition Room acts as natural break. Mappers submit segments that are then joined together to create a level. The number of segments per level varies depending on the size of each segment. By joining segments together into levels we balance the load time and play time to acceptable amounts. Once segments are submitted they may be edited to ensure the join between each segment is as smooth as possible. Every attempt will be made to ensure an interesting and enjoyable flow between segments, but this really depends on what has been submitted. 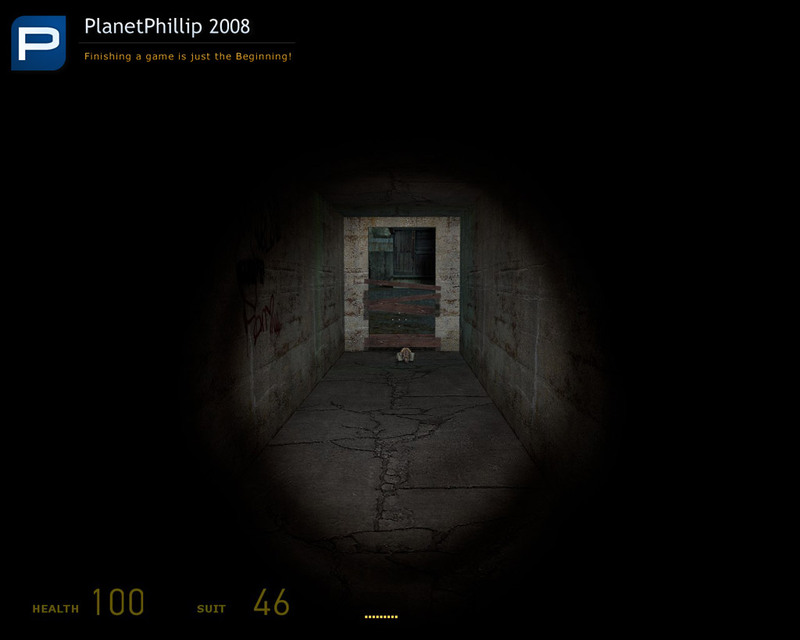 A player exits The Transition Room and has to find the door that will lead them to the next Transition Room. This may be very easy or very hard, depending on the segment they are playing. Some segments will be linear, some more complicated. Some have vehicles, others not. Some require a more tactical approach, others Run and Gun. Some are indoors, some along a coast. 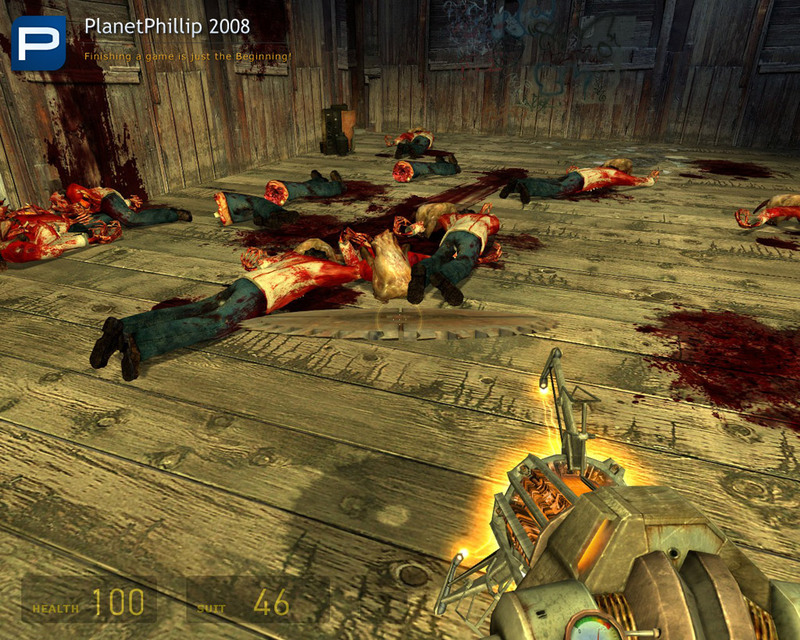 Some have physics puzzles, others simple Kill Or Be Killed objectives. As you can see there is an enormous variety in the design and implementation of the segments. A player has no way of knowing what the next segment will bring. That’s the beauty of HoloReality! Due to the nature of the mod the playing experience may be significantly different from other Single Player mods. This is because the types of segments can vary dramatically. Every effort is made to ensure an interesting and enjoyable transition but it entirely depends on what segments have been submitted. I understand and applaud the concept. However, wow, so many words! Maybe because of that, I missed the answers to the two most basic and obvious questions everyone will want to know to determine if they are interested. 1: If a segment is like a small map within the mod, and this is released as a project only to show the concept, are there any “segments” in it to play? 2: If so, how many? However, wow, so many words! Yeah, sorry about that. The problem is that being a concept rather than just a mod there’s a lot to explain. It used to have its own website but since we cancelled the project I deleted it. In answer to your questions there are four playable segments included. I’ll update the post later tonight to try and clarify what players are getting. hee, this is a great concept, a shame it has ended. because there will be many mappers that are able to make a map segment, but not a whole map, and specialy not a whole mappack or mod. 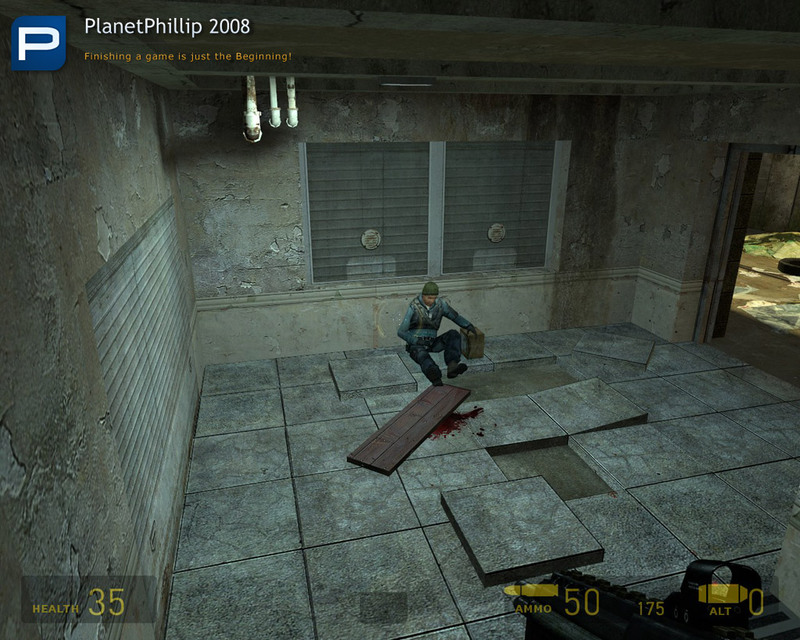 why did it die Phillip, can you tell me that? I haven’t played all the segments yet (I died an there hadn’t been any autosave up to that point 🙁 ) but I can already make an observation. While it’s certainly better to have less loading times and add the segments to the same map, I feel my segment in particular lost a bit with the change of sky texture (which didn’t match the lighting) and the absence of the skybox buildings. While I acknowledge the segment remains unchanged gameplay-wise, I think a map has to work in all scales for the best effect. Spy, it died because it needs at least one very dedicated person to run it. Somebody to contact lots of mappers and “sell” the idea, somebody to maintain the website and administration, somebody to put the maps together and make any changes that need making, somebody to occasionally make a segment themselves, just to keep things moving. CubeDude89 went to Flashpoint and I don’t have the time nor technical skill. I hope somebody plays the release and decides to become the leader and get it working. There’s nothing stopping somebody from taking over the concept. there was nothing really to follow. We kept it a secret until now. Although Cube may have asked you to make a segment, I’m not sure. Another thing that got lost in the rush to release before it just died on a HDD. Sorry about that. 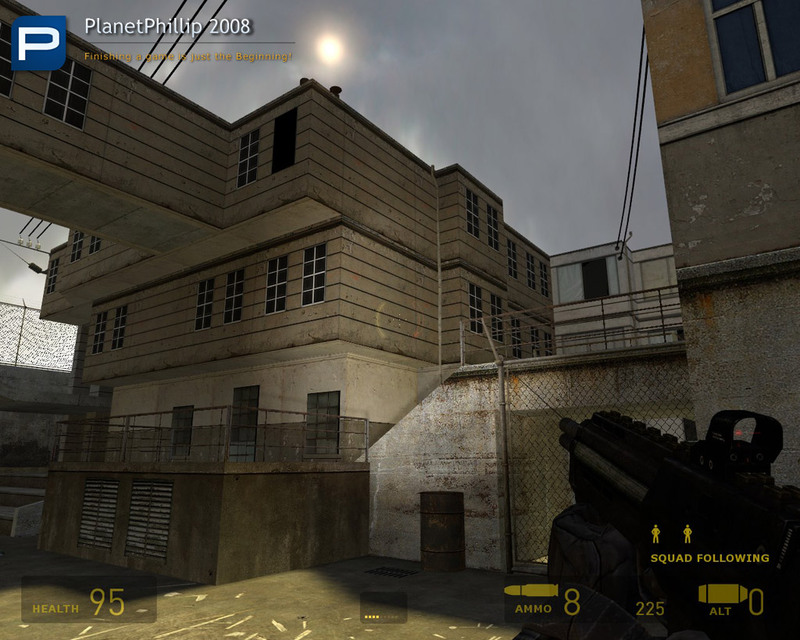 with the change of sky texture (which didn’t match the lighting) and the absence of the skybox buildings. Mmm, I didn’t realize that. Again, sorry. I never thought about that, I presumed they could all have their own sky, but obviously not. I think a map has to work in all scales for the best effect. Agreed, and perhaps the best idea would have been to simply allow a new .bsp for each segment and join them with the Transition Room. Yep thats my fault, sorry I didn’t play the original so I had no idea, kinda slipped by. Great idea, hell as a succession of holorealities. Great fun. the first one had me baffled for a while before I reminded the simplicity of origins : hide and crowbar them bastards. I like the idea and think it works well. If one map doesn’t tickle your fancy, you only have to paly a few minutes to try the next, and then the next…. This is a mod (or series of disconnected maps) you can just dip into and play for ten minutes, for those times when you don’t feel like anything too immersive..
Cube has put this on moddb now.Hopefully gets more attention and is continued by ….? I’ve just played the mod and really like the idea. It seems to be a project that could effectively carry itself at this point, and I’d definitely submit maps to the project. A pity it’s not being continued. It seems to be a project that could effectively carry itself at this point, and I’d definitely submit maps to the project. A pity it’s not being continued. Baggie, you are right it could easily continue and all it needs is somebody to take the leader. Somebody who can map and therefore join the segments together. Release can be whenever there are enough segments and it’s worth packaging into a new mod. Since the release I have made some changes to the basic concept that would make it even easier to join the segments together. I will happily share these ideas and support anybody who wants to be the leader and can show commitment to the project. Hej Dude, your idea is great. What a pitty this mod has been cancelled. Ever tried to go to a mapping community with your idea??? I’m mapper too and I really like the first segments of your mod. I enjoyed this series of maps and what’s here is well done if a bit short. 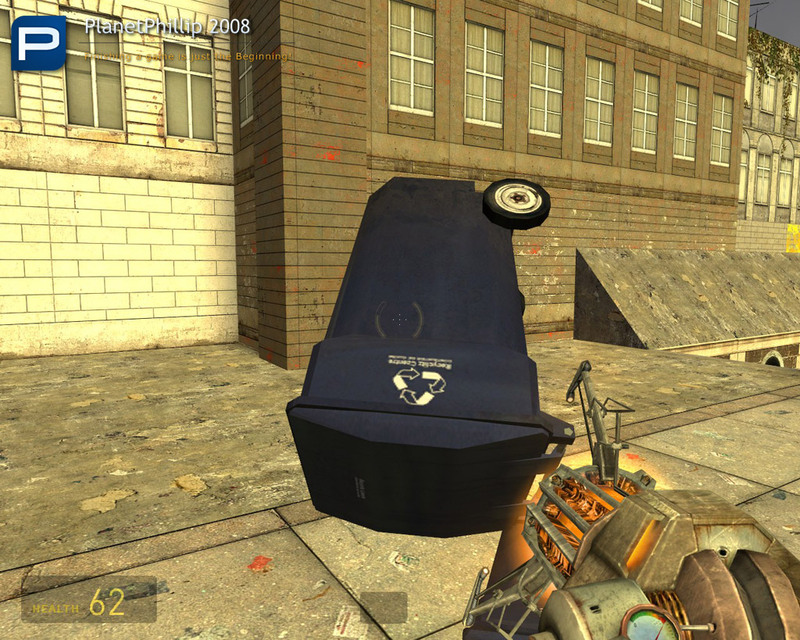 Really good mod. It’s perfect for people like me with short attention spans or for those that like short stories. This has short stories that are all action and you have to make do with whatever weapon you are given, which can be very challenging. I really hope there can be alot more added to this as they concept if excellent. is there any way I could get the source code from you, or all the coding you’ve made for it? Vikin, I sent you an email, please respond if you got it. HoloReality will be resurrected in a few weeks, in a slightly modified form. There is also a HoloReality2 in the works that uses a similar concept. Viking has nothing to do with this mod and does not have permission to use anything connected with it. I am glad you enjoyed the mod. Nice collection, It is a bit linear and short though. Other than that I enjoyed it. Another longer mod like this would definitely be popular. The other problem was that it was easy. 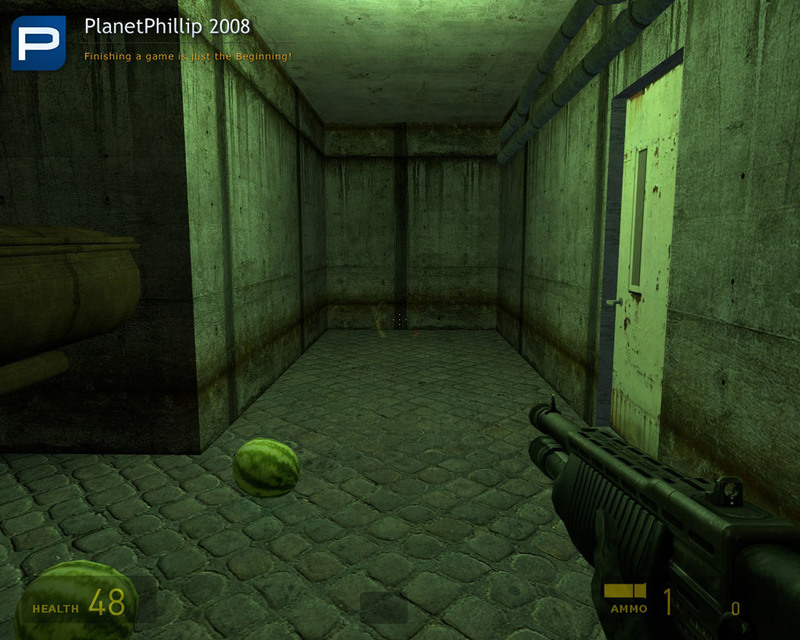 Unfortunate crash when I tried to take a melon with me to the next level. But that’s my own silly fault. Great idea, but way too short… It could be a nice and really playable mod, if it was about 10-15 times as long, as it is now! I believe it’s unfair of you to use a “Think Twice” on a Proof of Concept mod. I released it to show the community how a mod like this could work. How individual maps could be linked, NOT as a final mod. I look forward to receiving your map to add to the next pack, so it will be longer. 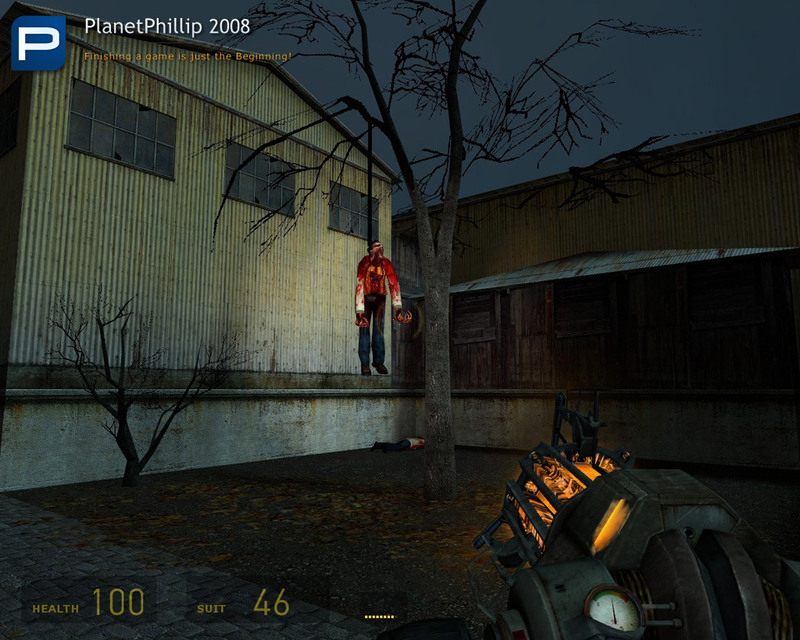 Well this is a pretty nice concept for a HL2 collaboration mod. 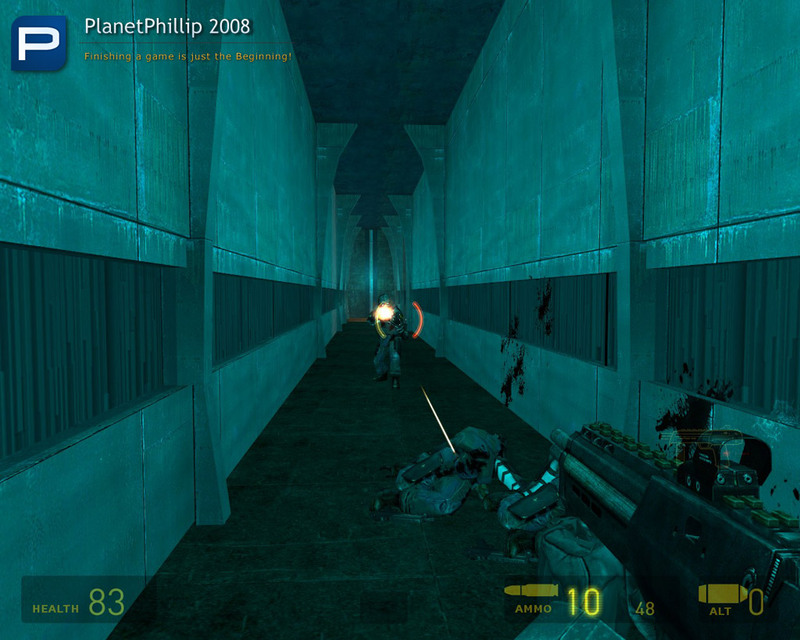 Clearly inspired in the classic of all times and wonderful Project Quantum Leap 1 and 2: Reissues, mods for HL1. 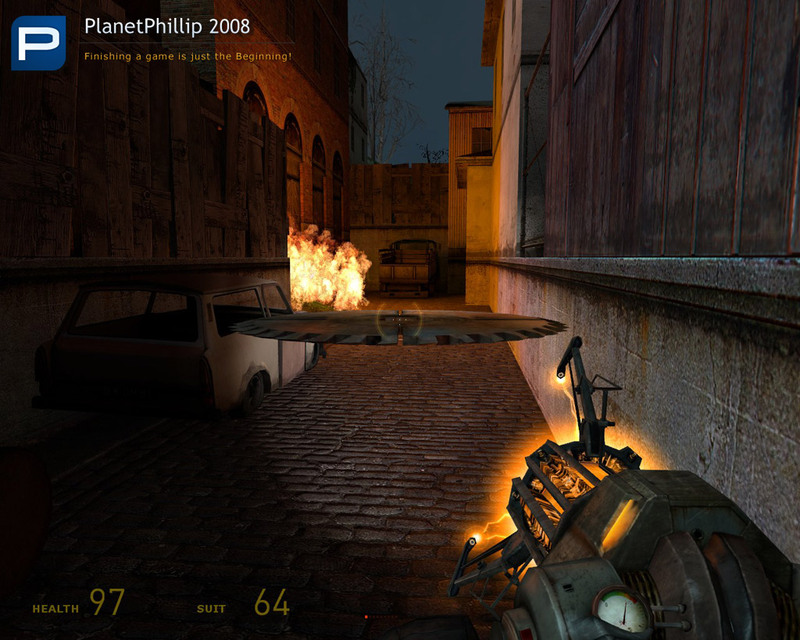 we have few but fun maps in here and the last 2 maps were pretty nice, I’d love to see some mod with this concept this days to see how cool can they be, especially if you invite some great modders as Kasperg, Sneakspecman, Miigga and Leon Brinkman, to some project like this would be pretty cool and sure good fun mod. 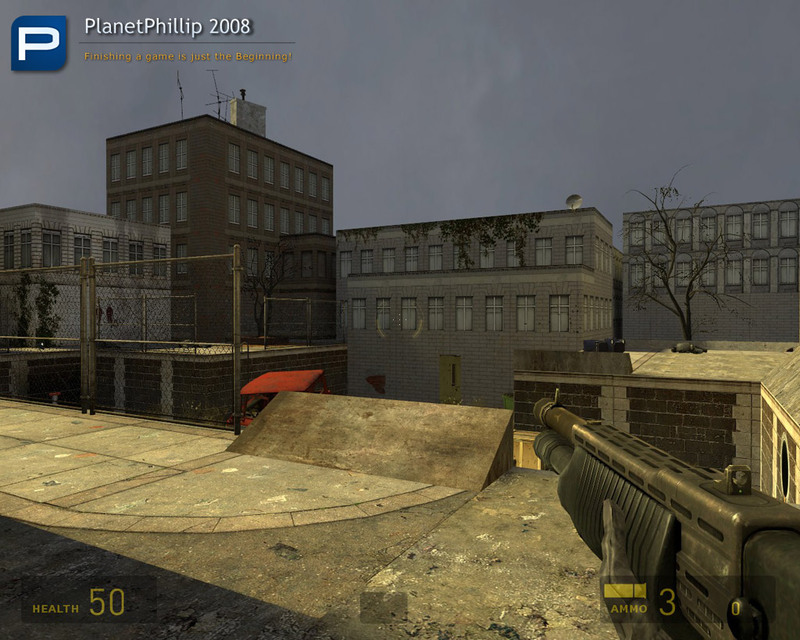 Also was a cool feeling to play a Ravenholm like map again, I’d love to see a PP.com mapping competition around that concept, that would be pretty cool.